It is an interview style podcast with business women across different industries in Edmonton and Calgary at a coffeeshop! Whether it’s a side-hustle turned into a full-time career, a story of a startup on the rise, an unexpected turn or challenges being in a male-dominated industry, we talk about the entrepreneurial journey and the pursuit to make an impact while making an income doing what you ABSOLUTELY love. We go behind the curtains and hopefully you share your vulnerable story, the process of building a business, the challenges, key takeaways & lessons you’ve learned along the way! The people that I have interviewed so far has been some of the greatest blessings in my life, both personal and professional wise and I truly feel grateful. Coaches, book authors, event planners, bloggers, studio owners and other businesswomen alike have shared their stories and ideas with me and I have been so privileged. I’m Nicole Constante! 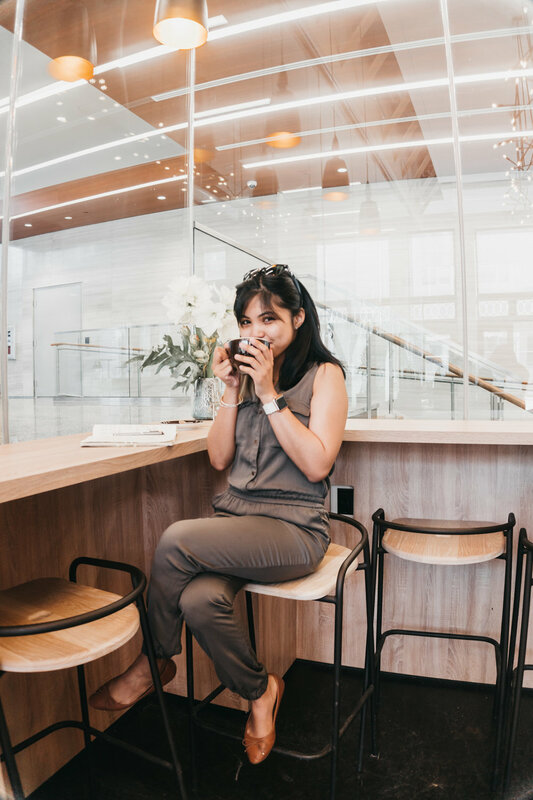 An Edmonton-based photographer and digital marketer obsessed with hot chocolate, journaling, women’s empowerment and personal development! A year ago, I hopped on my first plane ride (ever!) at 19 from Manila, carrying my vision board to this new city where I didn’t know a single soul and 0 idea what I wanted to do. I’m a story in progress. Would you stay for the ride? Why would you like to be a guest on the podcast? Or if you are nominating someone else, let me know why too! Yay! Thanks girl! I’ll get back to you soon.